Good Morning friends, and to those of you that are visiting for the first time, welcome!!! 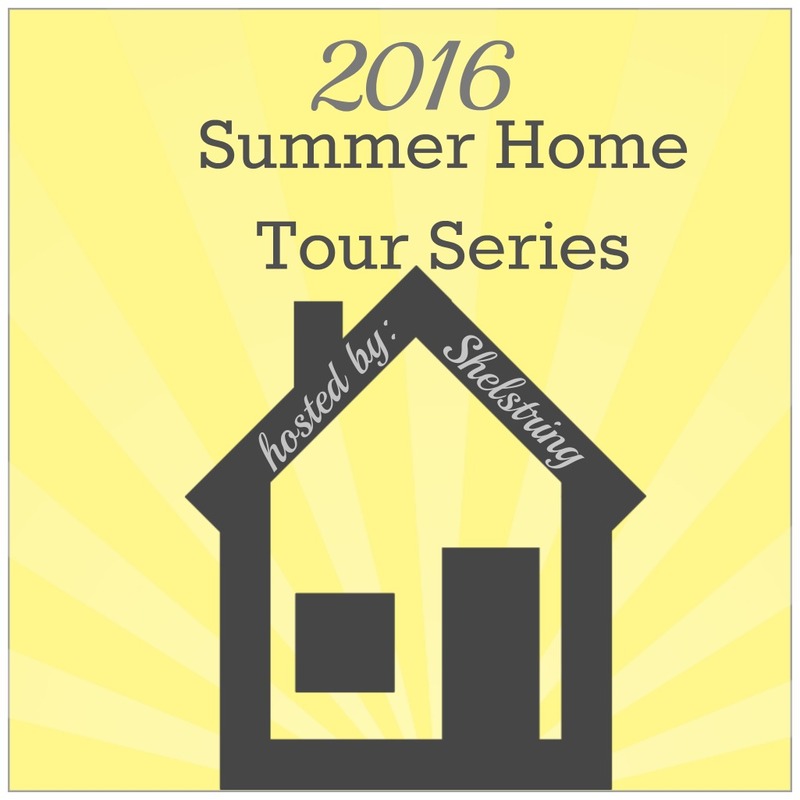 It's a new month and the Summer Home Tour Series continues! I have so enjoyed working with each of the wonderful bloggers who have shared their beautiful homes with us, and today's guest is no exception. She has done a beautiful job getting her home ready for the summer months and most of all, a festive touch for the celebration of our nations independence. 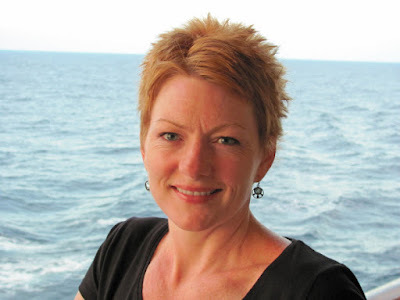 She blogs over at the creatively inspiring Life On Kaydeross Creek. You will find all sorts of wonderfully fresh ideas and classic projects. The front door brings you into our foyer and then opens up into our family room. There's lots of bright sunshine from the wall of windows and I love coming down the stairs on a sunny morning to see the light shining on the canopy of the trees. I love the openness of this room and like to keep the seasonal decor pretty simple. Celebrating summer was all about added touches of blue and green to my go-to white pitchers and a few bits and pieces of the beach here and there. I also love to add flowers wherever possible and what could be more summer-y than white hydrangeas? This vignette is one of my favorites. It's layered with found favorites and freebies! The window frame was given to me by my brother because he knows me so well, the books and the printer's tray are Brimfield finds from our road trip and the flowers are from our neighbor's yard. The beach sign I made from an old weathered board in our wood pile out back. I love the added touch of the blue in the books and the bottle. The fireplace mantle is always a bit of a challenge because of the height. I was so lucky to find this sifting screen at Brimfield this year for just $20! It adds great height and texture to this space. I add books wherever I can for height and bit of color. Our dining room is surrounded by windows and we love the view of the woods. We like to keep the table simple. Here I've added hydrangeas to mason jars in varying heights to create a centerpiece. I love how the red letters on Pepsi crate compliment the white flowers and the flag. Here is our foyer again heading back outside. I recently updated it for spring and you can see that here. The simple artwork up on the left is another project using scrapbook paper and you can see that here. Thanks so much for spending some of your time with me today. I hope you enjoyed our simple, light and airy summer home tour. For lots more projects and decor ideas, stop on over and see me at Life On Kaydeross Creek or like me on Facebook. In the next few weeks I'll share the outdoor tour and an update to our lean-to including a summer version of the hot cocoa bar. Cocktails anyone?? Colleen. Thank you Colleen, what a beautiful home! I love all the summer inspired touches with the fresh flowers and a bit of the coastal vibe. I sure love a good tour, don't you?! I can't wait to see her Hot Cocoa Bar. 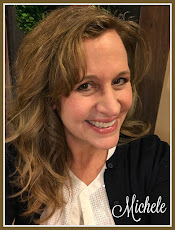 You must drop by her blog and catch more of her home on her home tour page. I can't wait to see all of you back here next week with our next visitor Jess Ray from Domicile 37 and another beautiful home tour. In the meantime, have a wonderful 4th of July weekend! !